SKU: 101355 Categories: ALL GOGGLES, Dye & Proto Goggles Brands: Proto. 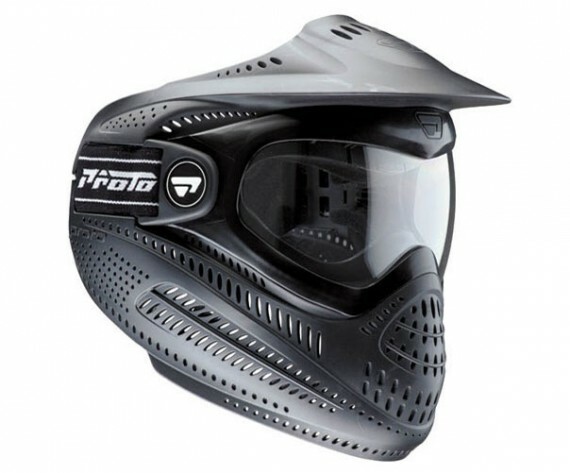 The Proto Switch FP goggle system has most of the same great features as the FS system, but is slightly different in its design. The Switch FP system comes standard with a solid one-piece face mask, integrated visor and a single pane Anti-Fog lens. Additionally, the single lens is treated with an exterior silicone hard coat for abrasion resistance.